What Is the Best Walking Shoe for Someone With Arthritis? Is Ginger Good for Arthritis? Flaxseeds, the tiny seeds of the flax plant from which linen is spun, contain a variety of healthy compounds. Flaxseed oil is rich in essential fatty acids that help decrease inflammation and may improve symptoms of arthritis in the knees. Consult your doctor about using flaxseed oil to treat arthritis or any medical condition. Omega-3 fatty acids in flaxseed oil might reduce morning knee stiffness associated with autoimmune conditions, such as rheumatoid arthritis, according to the University of Maryland Medical Center. Osteoarthritis might also respond well to omega-3 fatty acids in flaxseed oil. Omega-3 fatty acids have been known to improve joint stiffness and walking speed in patients with osteoarthritis. 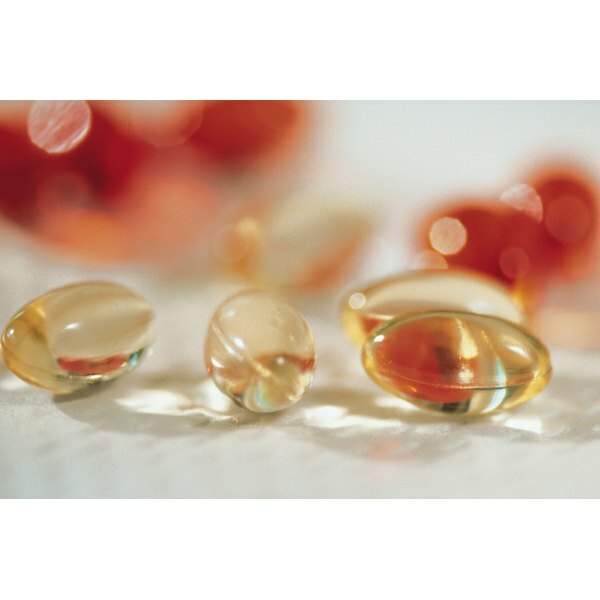 A study published in the March 2010 issue of the "Journal of Parenteral and Enteral Nutrition" found that intravenous therapy with omega-3 fatty acids decreased joint pain and swelling in rheumatoid arthritis patients. In this study, swelling resolved significantly within one week of daily treatments, though pain reduction was more modestly affected. Arriving at the correct dose of flaxseed oil to help arthritis in your knees may take some trial-and-error, says Dr. Donald O. Rudin, author of the book "Omega-3 Oils." For some people one teaspoon per day is sufficient to produce noticeable difference in osteoarthritis symptoms. For others, however, twice that amount or more may be necessary. Finding the right dose may mean the difference between no relief and complete remission of symptoms, says Rudin. Take flaxseed oil in divided doses and with meals. A study published in the February 2008 issue of the "American Journal of Clinical Nutrition" found that omega-3 and omega-6 fatty acids in flax oil decrease inflammation in chronic conditions such as asthma, allergy and cardiovascular disease. Similarly, decreased inflammation throughout the body can also benefit inflammation associated with arthritis in your knee joints. Researchers concluded that botanical oils such as flaxseed oil show potential for use in treating inflammatory diseases. Alpha-linolenic acid, the omega-3 fatty acid in flaxseed, must be converted into eicosapentanoic acid, or EPA, before it can be used by your body. This extra step makes flaxseed oil less efficient as a source of omega-3 fatty acids and a potential trade-off in comparison to fish oil. For many vegetarians, flaxseed oil may be a preferable source of omega-3s. Flaxseed oil is also less expensive than fish oil, even more so when obtained by eating whole ground flaxseed meal, which also provides fiber and other nutrients. Aside from taking flaxseed oil supplements, you can add flaxseed oil to salad dressings and soups. Flaxseed oil does not tolerate high heat, so if you are adding it to hot foods, do so immediately before eating to decrease the temperature that the oil is exposed to and the length of time that it is exposed to heat.